The Prosecutor General’s Office doesn’t have proofs that Andriy Hordeyev, the Head of the Kherson Regional State Administration, and Yevhen Ryshchuk, Deputy Head of Kherson Regional State Administration, are involved in Handziuk's murder, as Ukraine’s Prosecutor General Yuriy Lutsenko said on air of 112 Ukraine. “I have not got any information yet that could prove Andriy Hordeyev is guilty in murdering Handziuk. No facts, no testimonies have we heard. 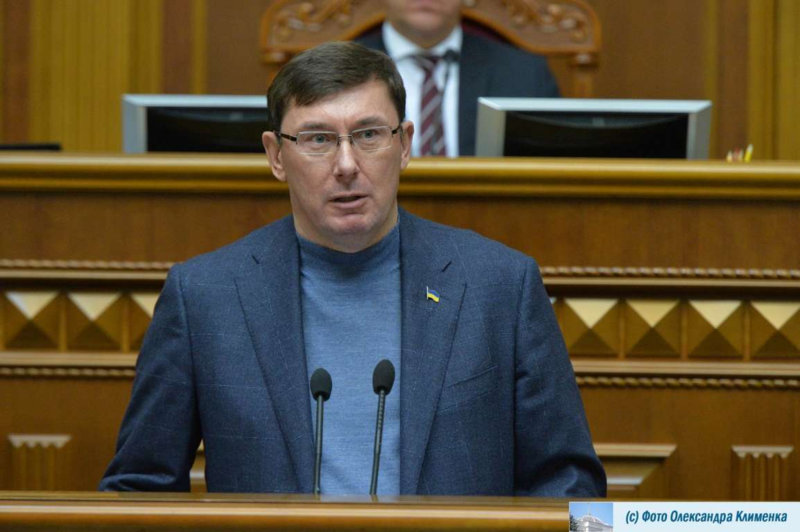 Concerning Ryshchuk, the investigation group found out several facts that can prove his possible corruption activity as well as burning woodlands (Handziuk was fighting against this)”, - Lutsenko said. According to the Prosecutor General, if they get enough pieces of evidence, Ryshchuk will be recognized as a suspect. “I would like to outline that we do not have the information on Manger’s plan and other perpetrators of the Handziuk's murder”, - the Prosecutor General added. Lutsenko also commented on the claim accusing Hordeyev and Ryshchuk by Handziuk Viktor, the father of Kateryna Handziuk. “The investigation group is working on the claim. I am intended to meet with him as soon as possible in order to give the information, which I found out and cannot announce it yet, I will also try to get some new testimonies from him”, - The Prosecutor General said. Ukraine’s Prosecutor General Yuriy Lutsenko stated that the Head of Kherson Regional Council Mangera was served with charge papers concerning organizing the murder of Handziuk. On November 4, it became known that Kateryna Handziuk died at age of 34. She was doused with sulphuric acid in July this year. According to preliminary information, her death was caused by blood clot's detachment. Besides, the doctors specified the cause for the death of Handziuk was specified. It was due to multiple organ failure and chemical burns. Handiuk's murder evoked a huge public outrage, with people demanding to find the orderer of the murder of the reform-driven activist.